The American Legion is urging President Trump to make good on one of his central campaign promises: improving the lives of veterans. In an attempt to promote medical cannabis research for soldiers suffering from a variety of post-combat conditions, the largest veterans organization in the United States is calling for President Trump to federally reschedule the herb. Currently still classified as a Schedule 1 drug, cannabis cannot be studied for its medical benefits. Rescheduling could have a huge impact on many soldiers suffering from PTSD. 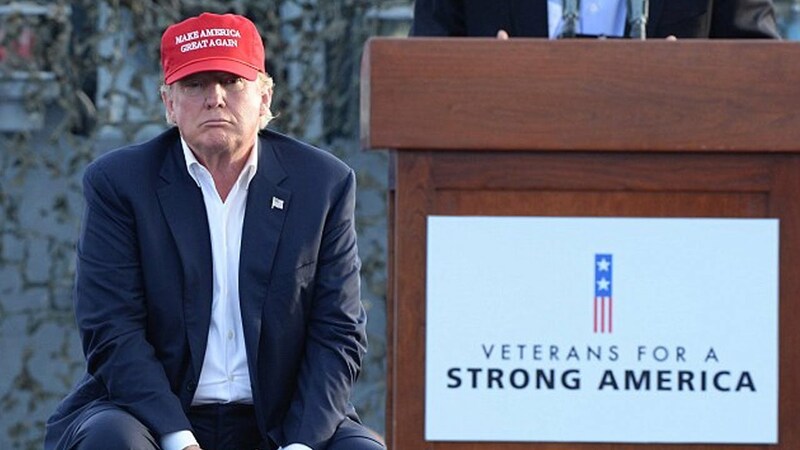 Does Trump really support Vets? The American Legion sent a letter to the White House in April asking to meet with the president to discuss using cannabis treatment as a replacement for opioids and other dangerous pharmaceuticals. The organization is seeking “support from the president to clear the way for clinical research in the cutting edge areas of cannabinoid receptor research,” urging President Trump to make good on one of his central campaign promises: improving the lives of veterans. …We are advocating for re-scheduling so that more research can be done.That will enable our elected leaders and the American people to have a national discussion on the matter based on scientific evidence. There have been several attempts over the past few years to pass temporary amendments allowing doctors with the VA to discuss medical cannabis with their patients, but none of them passed. Until the US government changes cannabis from Schedule 1 to a listing that accepts that the herb has some medicinal benefit, the VA has no choice but to keep treating patients with what it has available. The American Legion which represents more than two million veterans, is desperately hoping that President Trump will help them make a change. But under the current Attorney General Jeff Sessions, it seams that the Trump administration could actually be wanting to increase the war on drugs. For more information for Veterans and medical marijuana, check out this article.